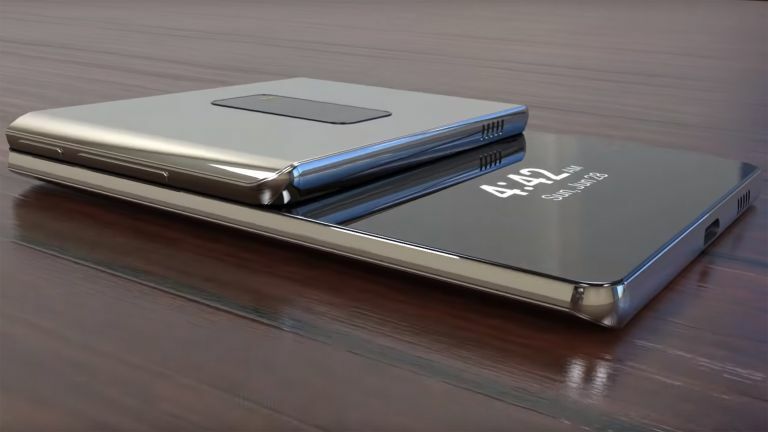 The Samsung Galaxy F, or X at it was known, is the foldable phone we've all been looking forward to but it looks like we may not all be able to enjoy it as new leaks suggest it will be in short supply. According to reports from PatentlyApple we can expect the Samsung Galaxy F foldable phone to be made in limited numbers. Samsung has previously expressed plans to ease into the foldable phone market before it commits on the scale it does with mainstream handsets. The report reveals that Samsung has picked Japanese company Sumitomo Chemical to produce a polymide plastic film which coats the screen. This is an essential component to protect the folding screen which will, no doubt, go through a lot of wear and tear - hopefully less of the tear with this film layer, though. The point is that Sumitomo Chemical can produce this component in small quantities. So expect the Galaxy F to be a "while stocks last" handset. Also expect the price to reflect that, but then early adopter fees have always been high. Samsung is expected to reveal the Galaxy F at its developer conference in November or at CES in January with a launch early in 2019.